Health Resort Medicine, Balneology, Medical Hydrology and Climatology are not fully recognised as independent medical specialties at a global international level. Analysing the reasons, we can identify both external (from outside the field) and internal (from inside the field) factors. External arguments include, e.g. the lack of scientific evidence, the fact that Balneotherapy and Climatotherapy is not used in all countries, and the fact that Health Resort Medicine, Balneology, Medical Hydrology and Climatology focus only on single methods and do not have a comprehensive concept. Implicit barriers are the lack of international accepted terms in the field, the restriction of being allowed to practice the activities only in specific settings, and the trend to use Balneotherapy mainly for wellness concepts. Especially the implicit barriers should be subject to intense discussions among scientists and specialists. This paper suggests one option to tackle the problem of implicit barriers by making a proposal for a structure and description of the medical field, and to provide some commonly acceptable descriptions of content and terminology. The medical area can be defined as “medicine in health resorts” (or “health resort medicine”). Health resort medicine includes “all medical activities originated and derived in health resorts based on scientific evidence aiming at health promotion, prevention, therapy and rehabilitation”. Core elements of health resort interventions in health resorts are balneotherapy, hydrotherapy, and climatotherapy. Health resort medicine can be used for health promotion, prevention, treatment, and rehabilitation. The use of natural mineral waters, gases and peloids in many countries is called balneotherapy, but other (equivalent) terms exist. Substances used for balneotherapy are medical mineral waters, medical peloids, and natural gases (bathing, drinking, inhalation, etc.). The use of plain water (tap water) for therapy is called hydrotherapy, and the use of climatic factors for therapy is called climatotherapy. Reflecting the effects of health resort medicine, it is important to take other environmental factors into account. These can be classified within the framework of the ICF (International Classification of Functioning, Disability and Health). Examples include receiving health care by specialised doctors, being well educated (ICF-domain: e355), having an environment supporting social contacts (family, peer groups) (cf. ICF-domains: d740, d760), facilities for recreation, cultural activities, leisure and sports (cf. ICF-domain: d920), access to a health-promoting atmosphere and an environment close to nature (cf. ICF-domain: e210). The scientific field dealing with health resort medicine is called health resort sciences. It includes the medical sciences, psychology, social sciences, technical sciences, chemistry, physics, geography, jurisprudence, etc. 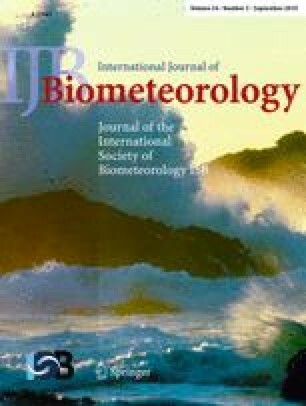 Finally, this paper proposes a systematic international discussion of descriptions in the field of Health Resort Medicine, Balneology, Medical Hydrology and Climatology, and discusses short descriptive terms with the goal of achieving internationally accepted distinct terms. This task should be done via a structured consensus process and is of major importance for the publication of scientific results as well as for systematic reviews and meta-analyses.